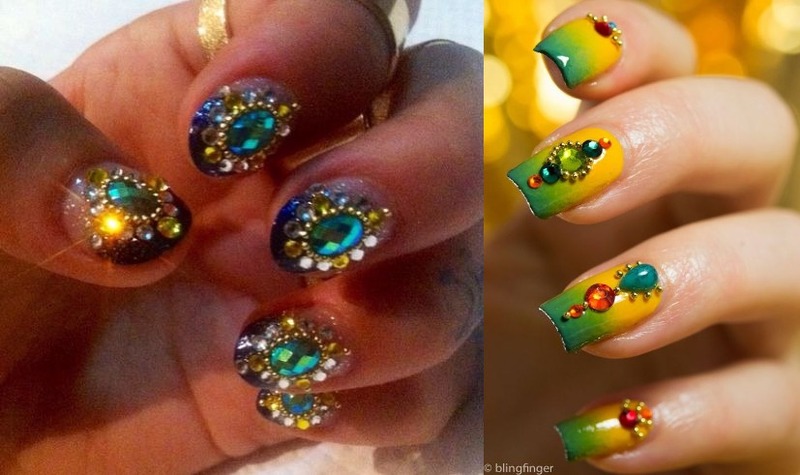 Nail art is very much in fashion and very rarely do we see someone who hates it. It feels truly amazing to wear a piece of art on your fingers, also it is super fashionable. 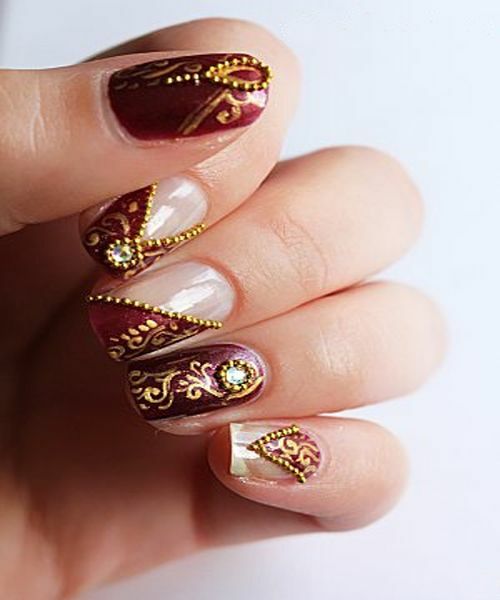 Here are few nail art ideas which our brides to be will find interesting, so get inspired and try it…..
– Combine bridal red nail paint shades with heena inspired patterns at the top in gold. 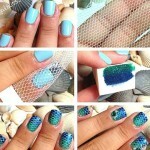 You can apply a transparent base coat and play with different patterns for every finger nail. A strip of golden beads done over the designs look eye catchy. 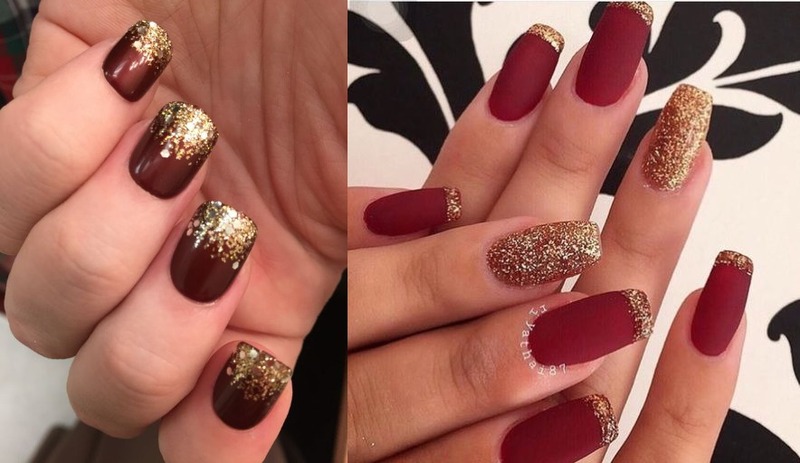 – Nails done all over in a single color and design is the basic pattern and can be well played in terms of designs and patterns. Abstract design done in contrast colors on the top look appealing. – Play with the paisley’s for the design, this Indian motif never goes wrong with the Indian attire. It can be paired with other elements like swarovski stones and golden or colored beads. – Use of stones in different sizes, shapes and color is something made truly for the Indian brides. 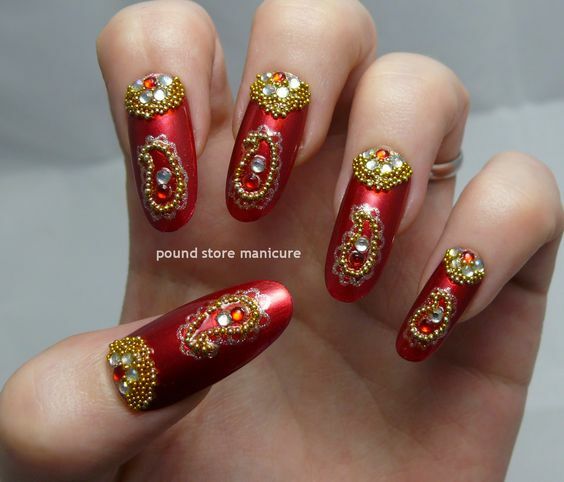 You can match the stones to the color of your lehnga or dress and get a pattern done like this done over bare nails or over a matching nail paint. 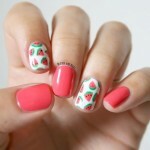 Ombre nail paint is another big hit, as you can match two or more shades from your attire. – Go for the basic red or maroon shades if your lehnga is in these colors. 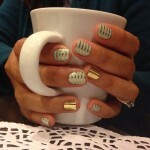 For an ethnic look top them up with gold glitter like these patterns. 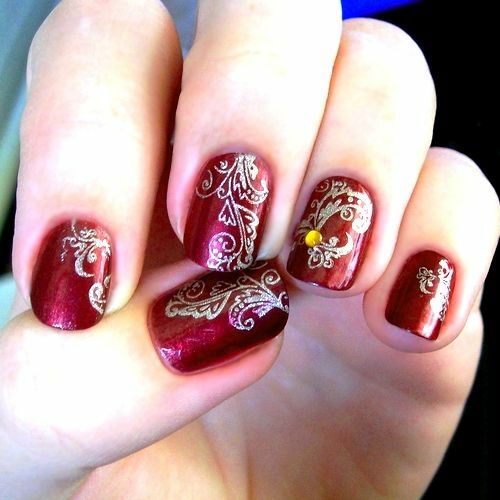 – You can also replicate few motifs from the lehnga in your nail art for a customized look. 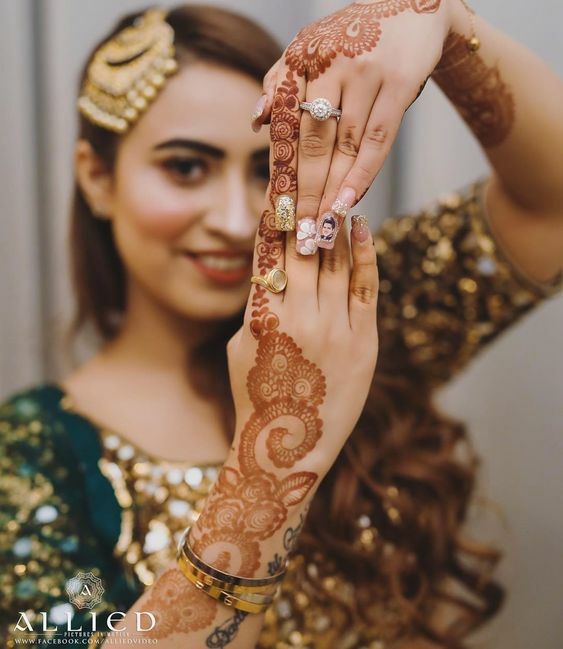 Pick up matching nail shades and try using nail jewelry pieces like one in this picture, they are easily available and look gorgeous for such occasions.